Wind the rose to hear the "Blue Danube," the profile to hear "Swan Lake," and the pair of friends to hear "Für Elise." 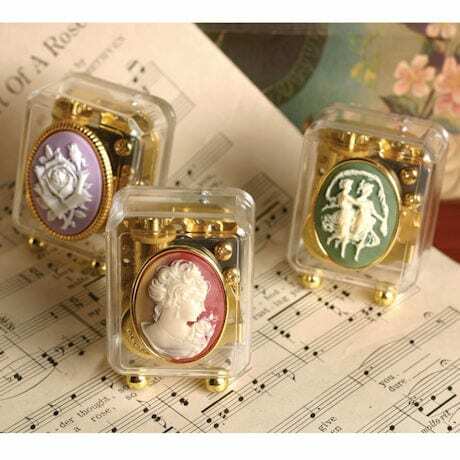 Cast in resin from antique conch-shell carvings, miniature music boxes are enchanting anywhere, perfect as small gifts and keepsakes. Set of 3, each 2 ½" high.